If you live in Denver, then it makes practical sense to own a snowblower. Of course, it helps if that snowblower actually works. 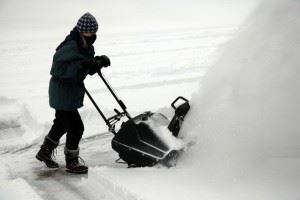 Just as with any other piece of equipment a snowblower is prone to breakage. The worst thing that can happen is you heading out clear your driveway and have the blower putter out. That’s why it’s always a good thing to check the blower before the first no shows up. If you’re snowblower is ready for the trash heap, then it’s time to give Junk King Denver call. These are the junk removal professionals who can efficiently haul away that old snowblower and any other power tool that has seen better days. Your garage might actually be a kind of power tool “graveyard.” There could be all manner of broken drills, lawnmowers, compressors and other tools that are beyond repair. The good news is that this is the time of year when all those things can be replaced if you asked Santa! The even better news is that call to Junk King Denver can make for your new tools. Junk King Denver is going to send over a very capable two-man moving crew to facilitate your junk removal task. This is all the manpower you need to get rid of just about anything from your home. Although loading up those power tools might not require two movers you’re going to get to movers all the same. Perhaps you can put them to use throughout the rest of the house. Is there an old recliner that you want to toss out? What about a bedroom set up in the attic? Maybe there is some exercise equipment or even a piano you’re done with. All of that can be turned over to Junk King Denver for fast and efficient junk removal. The cost for this service is going to break the household budget. If you were to price this out on your own, then you would end up spending a lot more than Junk King Denver would charge. If you want to find out how fast and affordable Junk King Denver’s services are, then give them a call today. You won’t be disappointed! This entry was posted in junk removal and tagged Junk King, junk removal, tools on November 30, 2016 by Paul Durant. Last updated August 15, 2017 . When it comes to holiday decorating do, you take the minimalist approach or go all out? The minimalist approach could mean some strategically placed electric candles on windowsills. It might mean a few white icicle lights hanging along the rainspout. It’s a very classy look. 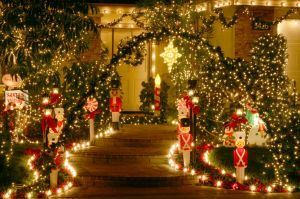 “Going all out” means literally pulling out the stops and hanging up all kinds of bright twinkling lights, inflatables for the front lawn and all manner of Santa Claus statues, reindeers, elves, snowmen and other seasonal favorites scattered throughout the yard and inside the house. Both approaches work and both would benefit from a call to Junk King Denver. These are the junk removal pros that can help you remove your clutter before you start hanging decorations. That can make a huge difference with how your home will look once all the lights go out! Junk King Denver is good supply you with a very capable moving crew. Of course, with this team of movers it’s just a “one-way ticket” for your junk. They’ll take everything out of the home that you want removed in a single session. Weight is never an issue for this crew. Neither is size. They have often been called upon to get rid of things as cumbersome as a piano or entertainment center where is easy as an old computer monitor. They literally mean no job is too big or too small! The things you’re tossing out don’t automatically need to be targeted for the trash heap. Instead, certain items could be repurposed by a charity. There are many organizations around Denver that employ residents to help reupholster furniture or fix appliances. This is where your stuff could end up and result in a double benefit. You’re helping folks stay employed and helping those in need with these items. It might sound like a lot of work to make those extra drop offs but that is something you don’t have to worry about. It’s all included in the flat fee that you’ll be paying Junk King Denver for their complete junk removal package. That is a fee that is always based on space as in how much space for your junk take up on the back of the truck. It’s a very fair pricing approach for this type of service. You shouldn’t hang one strand of holiday lights without hiring Junk King Denver to clear out the clutter first. This entry was posted in junk removal and tagged decorations, holidays, Junk King, junk removal on November 23, 2016 by Paul Durant. Last updated August 15, 2017 .